Gateway Arch National Park, formerly the Jefferson National Expansion Memorial, is a United States National Park in St. Louis, Missouri. The primary attraction is the Gateway Arch which commemorates the westward expansion of the United States. 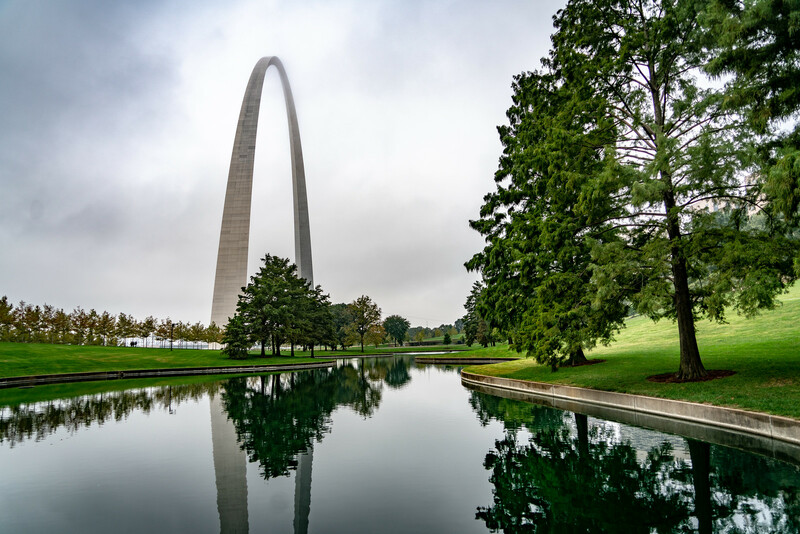 St. Louis used to be known as the “Gateway to the West”, which is why it was selected as the location for this monument. In addition to the arch, the park also includes the Old Courthouse building nearby. 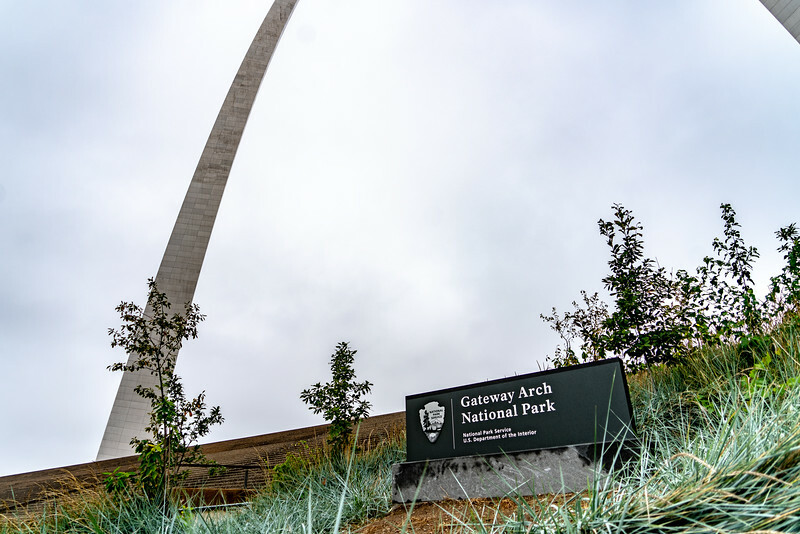 The park was given national park status in 2018 at the end of a long renovation of the visitor center and the arch. It is by far the smallest site with a national park designation in the US. Despite the controversy surrounding giving the site national park status, it is still an incredible structure and one of the most impressive monuments in the world. The history of the park dates back to the purchase of the Louisiana Territory in 1804. On what became known as Three Flag Day, on March 9 Spain ceded control of the territory to France, and on the next day, France ceded control of the territory to the United States. 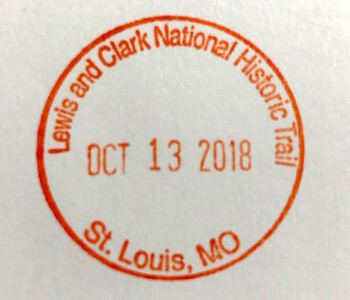 That opened up the ability to explore the territory, which started with the Lewis and Clark Expedition which began in May 1804 at the confluence of the Mississippi and Missouri Rivers, just north of the location of the current park. 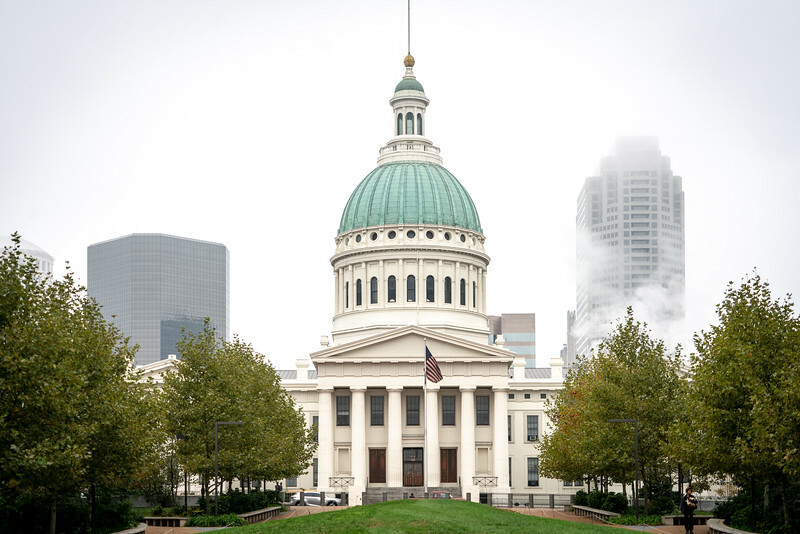 For over 100 years, St. Louis was known as “the west”, even though today it rests squarely in the middle of the country. Up until 1957, St. Louis was the westernmost city to have a major league baseball team. The idea of creating a monument to the westward expansion of the United States began with St. Louis businessmen in the 1930s. The design for the monument was completed in 1947 by architect Eero Saarinen. Construction began 16 years later in March 1963, was completed in October 1965, and it was finally opened to the public in June 1967. The National Park Service has been involved in the management of the arch since day one. 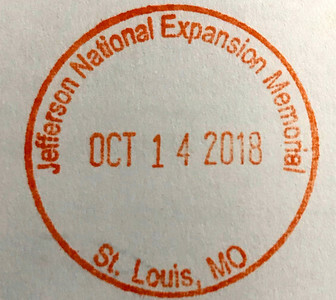 In 2018, coinciding with the reopening after renovations, the name was changed from the Jefferson National Expansion Memorial to Gateway Arch National Park. The Old Courthouse, which is part of the park, is best known as the territorial courthouse where the Dread Scott decision was first rendered before it went to the Supreme Court. The main attraction in the park is the arch itself. It is possible to go to an observation area on the top of the arch via a motorized tram. You have to purchase tickets for the tram, and you should consider purchasing tickets in advance to ensure your spot. The museum underneath the arch has been refurbished and reopened in 2018. It is quite good and talks about all aspects of western expansion, including the impact on Native Americans. 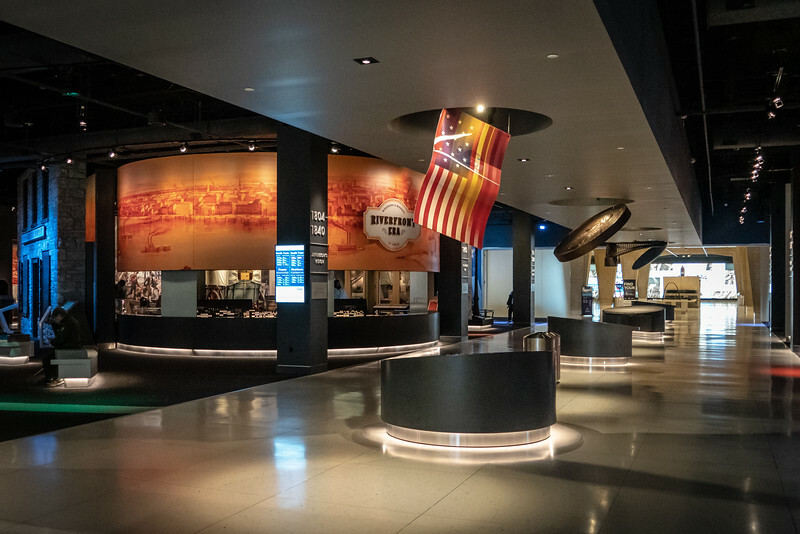 A significant part of the museum is dedicated to the arch itself and its history. 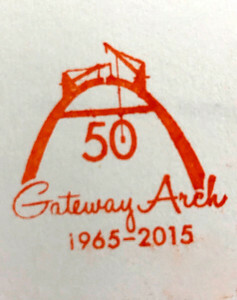 The design and construction of the arch has a fascinating backstory. Because the arch is stainless steel, the way the light reflects off of the arch changes all day long. Sunrise and sunset will give some color in the light bouncing off of the arch. There are reflecting pools on either side of the arch which provide great images of the arch and its reflection. 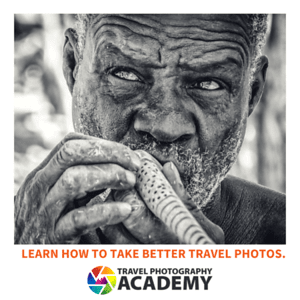 You will probably need a wide angle lens if you want to capture both the arch and its reflection in the same image. Poor weather can also be your friend. 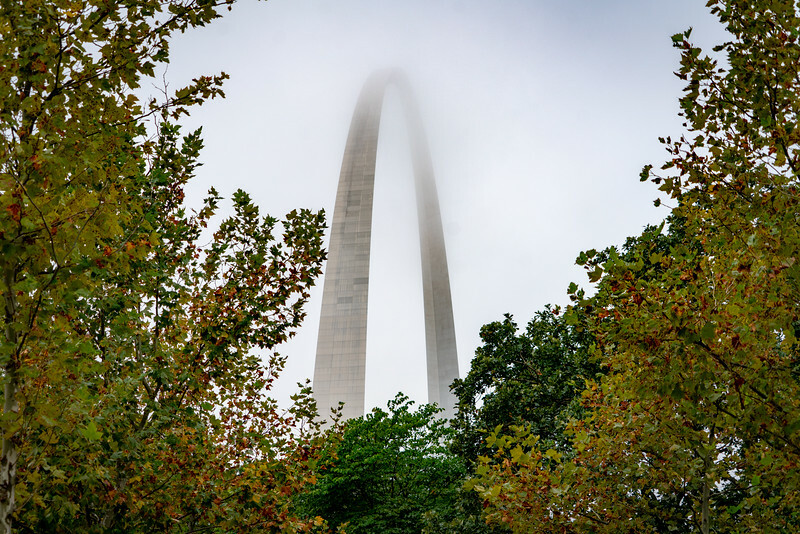 Because the arch is so tall, it is not uncommon to find the top of the arch in the clouds. Take time to walk around the entire arch to get different angles and perspectives of the arch. It really is one of the best man-made structures in the world to photograph. There is a cafeteria inside the visitor center with typical cafeteria fare available. This is the only official place to eat in the park itself. No food or drink is allowed if you take the tram to the top of the arch. Because the park is so small and located in downtown St. Louis, there are plenty of places to eat within walking distance. The grounds of the park are open from 5:00 am to 11:00 pm all year. The visitor center and arch are open from 8:00 am to 10:00 pm in the summer and from 9:00 am to 6:00 pm in the winter. The last tram leaves one hour prior to closing. The Old Courthouse is open from 8:00 am to 4:30 pm year round. The arch, Old Courthouse, and visitor center are closed on Thanksgiving, Christmas, and New Year’s Day. The National Park Passport Samps are available in the bookstore inside the visitor center. 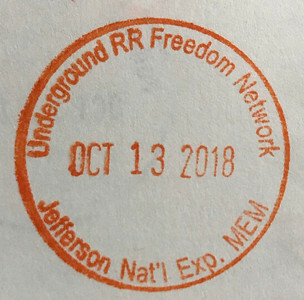 In addition to the park, there are stamps for the Lewis and Clark National Historic Trail and the Underground Railroad Freedom Network. As a major city, there are many hotels located all over the city. There are, however, several hotels in close proximity to the arch which can also give great nighttime views. Note that the Busch Stadium is located near the arch, so hotel prices might be higher on days with baseball games. Hyatt Regency St Louis At The Arch. A higher end hotel located across the street from the park with an excellent view of the arch. City Place Hotel. A much more affordable option located across from the park. Casino Queen. Located in Illinois across the Mississippi River it gives great views of the arch with the river in the foreground. 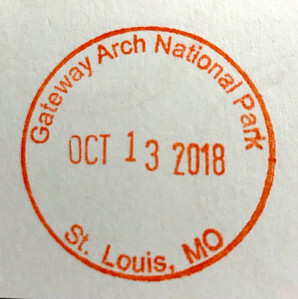 Unlike most national parks, there is no onsite camping at Gateway Arch National Park. There are RV Parks nearby on either side of the river, and campgrounds with tent camping outside of St. Louis. St. Louis is serviced by the St. Louis Lambert International Airport (STL). It has flights connecting most major cities in the United States. Gateway Arch National Park is approximately 14 miles from the airport and is easily reached by car in about 17-20 minutes depending on traffic. You can take a taxi directly from the airport to the arch directly. Gateway Arch National Park has located alongside several Interstate highways: 44, 55, 64, and 70. It is extremely easy to reach via car. You can find parking in several places in the downtown area. There is no dedicated parking for the arch itself. You have to find something in the vicinity and walk to the arch. Near the southern end of the national park, you can find parking which is normally used for baseball games at Busch Stadium. If there is not a game going on, you can usually find ample parking for the arch. The Gateway Multimodal Transportation Center is located in Downtown St. Louis It is approximately a 30-minute walk from the here to the Arch. The transportation center services both Amtrak trains and Greyhound buses. It is free to enter the park and the visitor’s center. The exhibits in the visitor’s center are open to all. Taking the tram to the top of the arch does require a fee. The fee can change on a daily basis based on demand, as the number of people who can go up the arch is limited each day. The price for adults ranges from $12 to $16 depending on if it is a high demand day. Children are $8 to $12 depending on demand. There is a 35-minute documentary movie about the construction of the Arch which is also available. The movie costs $7 for adults and $3 for children between 3 and 15. Individuals with the National Parks pass only pay $4. You can book tickets for the arch, the movie, and riverboat cruises on the Gateway Arch website. St. Louis is located in the central United States. Temperatures can vary widely throughout the year. Average temperatures can be as low as 25F (-4C) in January and as high as 89F (32C) in January. View annual monthly average temperatures for St. Louis.